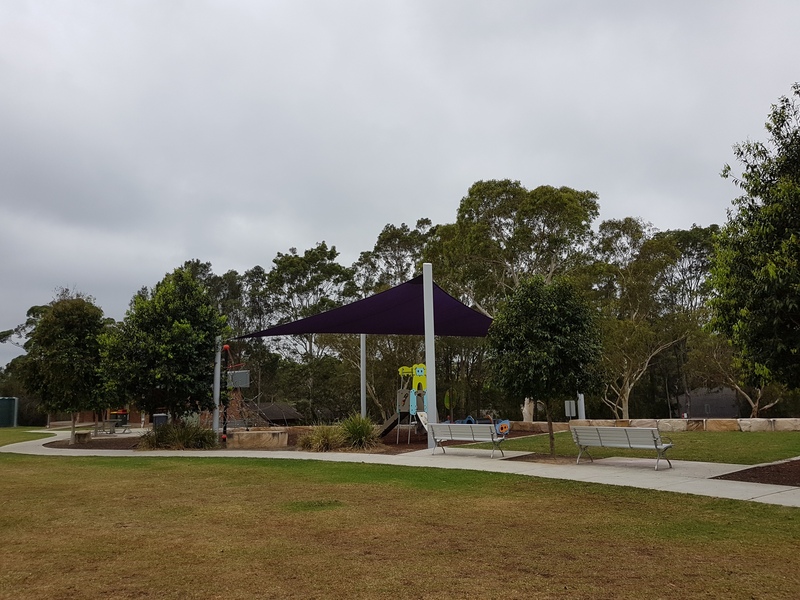 A green space a stone throw away from busy Macquarie Centre tucked in the leafy streets of Macquarie Park is Fontenoy Park. Fontenoy Park is one of the many green spaces in the City of Ryde. 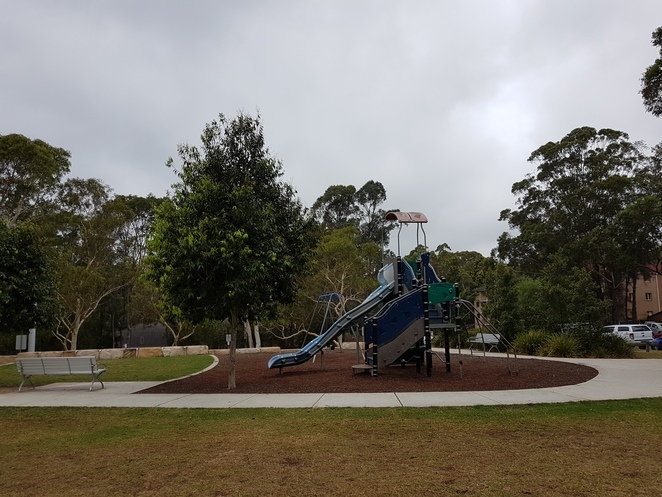 It is located along Fontenoy Road, surrounded by apartment blocks in the leafy area of Macquarie Park, not very far from the Macquarie Centre shopping mall. 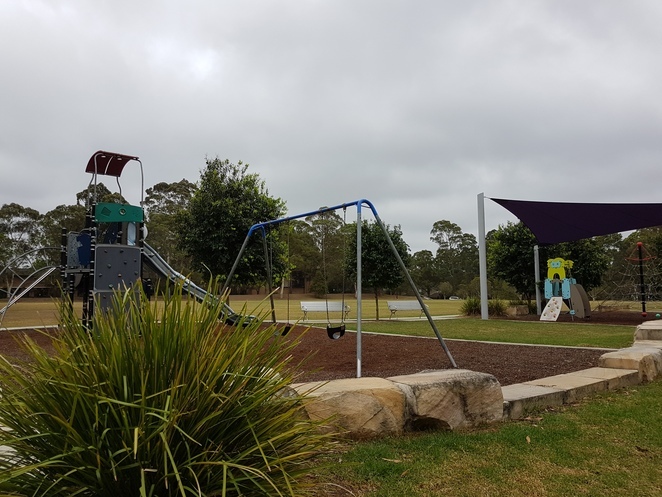 Fontenoy Park is a local park in the City of Ryde that features a sports field and a playground. Fontenoy Park features a sports field which on a busy weekend can accommodate multiple soccer games played in parallel. 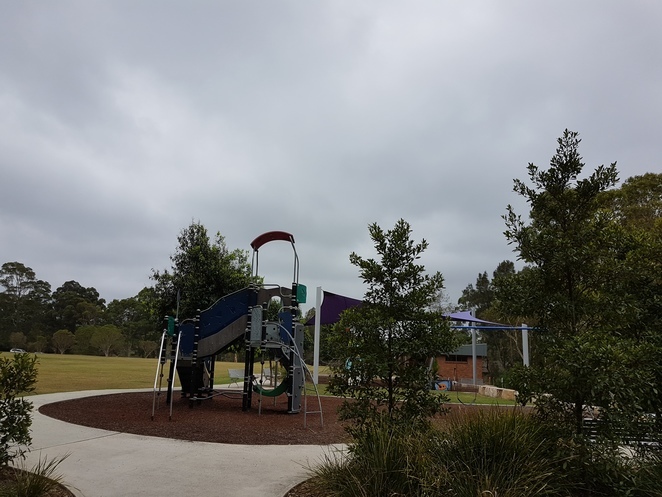 After all, it is home to the Macquarie Dragons, a soccer club in the Marsfield and Macquarie Park area that is part of the Gladesville-Hornsby Football Association. During weekdays or outside of the football season, the park is a good venue for kids to run around and for adults to do some serious jogging. Fontenoy Park is accessible by public transportation. It has a bus stop at its doorstep. 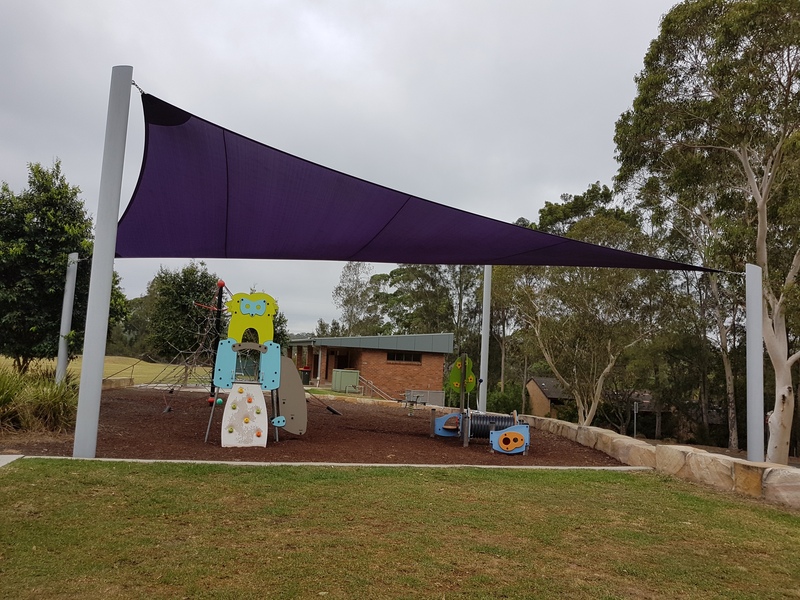 In addition to the sports field, Fontenoy Park has a playground which is partially sheltered with a large shade cloth. It has a small with a slide, accessed by either a mini-climbing wall or open stairs and is suitable for little kids. It also has a tunnel with built-in activities and peek-a-boo holes, a springy see-saw, a twirling pole, a medium-sized rope climbing pyramid, a couple of swings, and yet another bigger and taller tower with a slide, accessible by either a climbing wall, a curvy ladder, or a flight of stairs. The entire playground is covered in tree mulch. The play equipment in Fontenoy Park are not many, but sufficient for a bunch of kids to have fun. Fontenoy Park has a sizeable car park. Unless there is a game in the sports field, the car park is usually empty. Besides, there is heaps of street parking available in the area so parking should not really be a problem. Not in photo is a couple of mounds that kids can easily take as hills, which add a sense adventure. As a bit of a trivia, one might wonder where the park - and the street that bounds it - -took the name Fontenoy. Unlike Macquarie Park where Fontenoy Park is located and Macquarie University nearby, the name Fontenoy did not come from a significant personality in Australian history. It is taken from the 1745 Battle of Fontenoy, when the British and its allies fought the French, and lost.